I have seen these two types of instruction in San Francisco and across the Bay Area–often in the same school! It’s no wonder low-performing kids end up giving up. 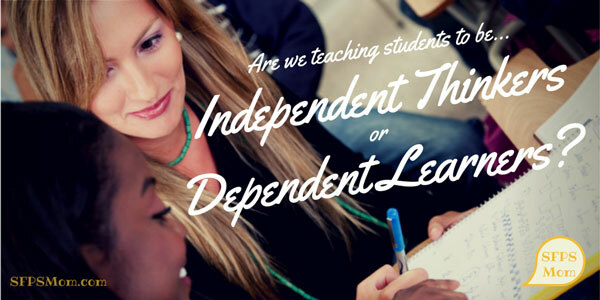 Instead of helping students accelerate their learning to catch up to their grade-level peers, “support” classes often make students get further and further behind by making them more and more dependent. And, let’s not even talk about student engagement! I feel we are supported in making this shift by both new standards (Common Core State Standards) and new assessments (Smarter Balanced Assessments). Students are being asked to think about relationships in mathematics and explain their answers. In English classes, they are being asked to reference the text to support their thinking in their writing. With well designed classroom assessments and SFUSD Common Learning Assessments, students can even get feedback at several points a year about how they are doing in relation to end of year goals. The best type of assessments allow students to celebrate what they’ve learned and see where they need to work harder to make improvements in their learning. This is exciting stuff, and I am seeing it every day in my girls school! 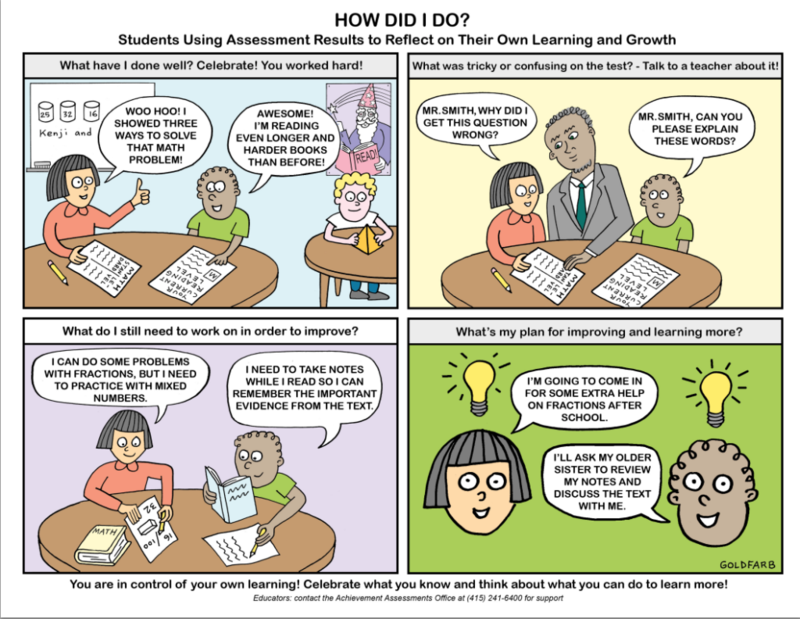 This great comic, created by the SFUSD Achievement Assessment Office, shows how students can use assessments to reflect on their progress and become independent learners. Click here to download a Pdf of this comic created by the SFUSD Achievement Assessment Office explaining the value of self-assessment! That said, none of this happens if the new standards aren’t truly implemented and if teachers aren’t capable of planning deep, rich instruction. This can happen either because they lack training, resources or are they are just not invested in making this shift. I feel really lucky to observe this shift taking place in my girls education. It’s hard work. Nonetheless, teachers at my daughters’ school are really amazing and I am seeing it happen every day! That said, it is the first full year of implementation of new standards and assessments and it’s not realistic to think all these changes will be happening in ALL classes across the district at all times. If teachers don’t have training, support or resources, or worse yet, if they aren’t invested in new approaches to instruction, we’ll continue to see the same old instruction that creates opportunity gaps for our most underserved students. What do you think? Do you see shifts in education happening in your child’s classroom? If you are a teacher, what can parents and community members do to support you in making these shifts? Why we can't talk about honors without understanding the concept of structural racism and how it plays out in our schools. Here are some helpful resources for parents looking to advocate at the classroom, site or district level for quality programming for gifted kids. 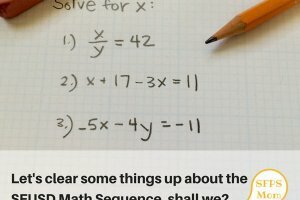 Reading through emails from SFUSD parents on the new math sequence, I'd like to clear up misinformation and reinforce some of the great thinking I'm seeing coming out of this debate.